I believe that there is no magic pill - potion - rather a perfect combination of nutrition, fitness, supplements as the solution. I believe that success is defined differently by everyone. I believe that with dedication, focus, and fun you can be your own success story. These are a few people who committed to The Triple Threat process and had amazing results. This platform is best for success showing up by way of numbers - lbs - inches - pictures, etc BUT often the most incredible transformations cannot be seen on the screen ie: better sleep, more energy for family, self confidence, clear skin, overall wellness, and more. Vicki S, Grandmother, Corpus Christi, TX: "Embracing The Zone philosophy and AdvoCare products has and continues to teach me proper nutrition AND has helped me lose pounds and inches! My mental and physical performance has greatly improved! The Triple Threat is a life-changing program. I am so glad this way of living was shared with me." Meggan C, Mother to 6 and Special Ed Teacher, Newport, TX: "After years of running off of little to no sleep, I experienced frustration with fitness and health goals. It was time to make a change. I got serious about being consistent with my sleep, diet and exercise. I began eating the "zone way" and worked out 5 days a week. On top of that, I continued taking supplements. The gains have been tremendous! My metabolism reset, the weight started dropping and my body began to lean out. I now have more energy to work out, feel better, sleep better and have an inner sense of peace I haven't experienced in years. Who knew that simple changes could make such a profound impact!" 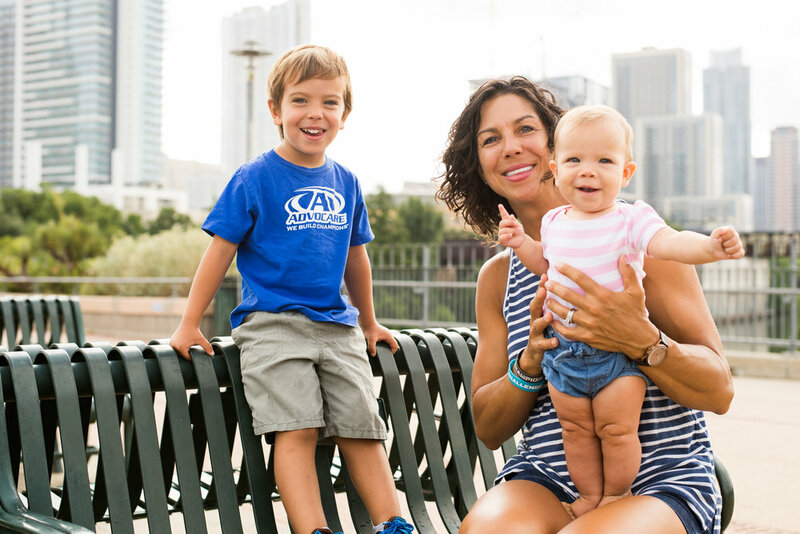 Whitney F, former Division 1 Athlete, Human Resource Manager, Austin TX: "When Lisa and I first talked about nutrition and wellness, she introduced me to the “triple threat” … Zone, AdvoCare and FUNctional fitness. I had the fitness piece down as I have been exercising regularly since high school, but Zone and AdvoCare were completely new to me. The Zone way of eating really taught me portion control and how to stay full through the day. While I don’t weigh or measure my food, I now have a very good sense of what I should be eating each day and what my snacks should consist of to make me feel good and maintain a good weight. AdvoCare has really helped to keep me accountable. I love having the schedule of when to take supplements, and I feel great while I am on them. Lisa has helped me find a good routine for traveling and has made me understand the meaning of “progress, not perfection.” Overall, the triple threat has really worked for me. It took some time experimenting to get to a steady, sustainable state, but I’m glad I put the work and effort in to achieve some great results and just feel good most of the time!" Chris G, Small Business owner, Austin, TX : "I knew from personal experience that the Triple Threat Lifestyle worked to get me lean and strong and fit for the first time in my life in my 40s and 50s. But its importance for overall wellness, longevity and resiliency was brought home to me when I had to have surgery at age 51 for a full rotator cuff tear. I came out of that surgery and incorporated a post-surgery version of the Triple Threat Lifestyle (adjusting nutrition for recovery instead of high intensity training, back in the gym within 2 weeks doing much-modified training to keep me moving and to support my rehab and physical therapy, and targeted supplementation to promote healing and repair, overall wellness and minimize muscle loss during the rehab process). I am convinced that this lifestyle was key to my full and complete recovery and to getting me back to the activities I love with no restrictions and no pain - stronger, more mobile, more functional than ever! Performance - Energy - Weightloss - Wellness - Find out what product fits YOUR goals and YOUR lifestyle! Thank you for signing up! You will be sent a confirmation email to complete your subscription.